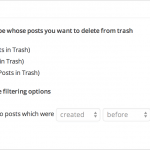 This addons allows you to delete posts and pages from trash. 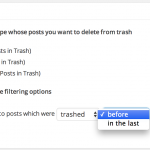 This will be useful if you already have moved posts or pages to trash and want to get rid of them selectively. 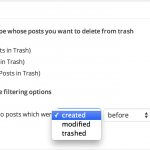 This addon requires v5.1 or above of the Bulk Delete plugin. 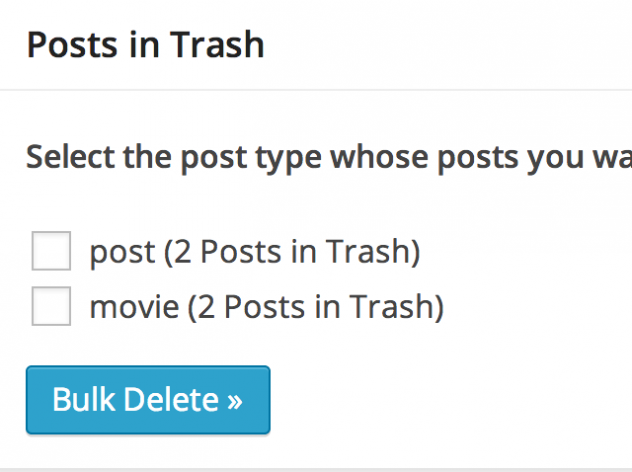 New: Added the ability to delete posts from trash based on date. 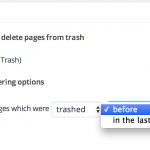 New: Added the ability to delete pages from trash based on date. 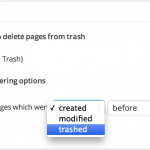 Tweak: Add compatibility with Bulk Delete 5.4. 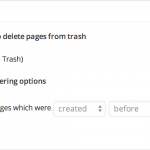 Fix: Fixed the bug that prevented users from deleting more than 20 at a time.